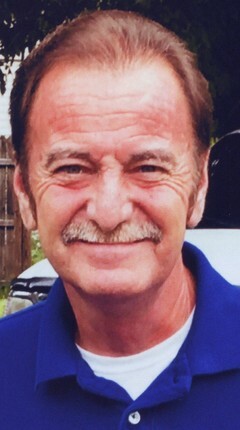 Tim worked for Clark Grave Vault Company in Columbus, Ohio, and was was a musician, having played bass for the the Osborne Brothers and Jimmy Martin. He loved attending Bluegrass festivals. Tim was a family man and loved his children and adored his grandchildren. Survivors include a daughter, Melissa (Jesse Jr.) Hesler of Maysville; two sons, Timothy W. (Sarah) Evans of Morehead and Christopher (Melody) Evans of Maysville; two sisters, Angie Evans of Vanceburg and Amy Bolander of Mays Lick; a special companion, Linda Bolander of Garrison; 11 grandchildren; one great-granddaughter; and several nieces and nephews. In addition to his parents, he was preceded in death by a granddaughter, Jaelynn Hesler; a brother, Ronnie Evans; and a sister, Pamela Evans. Services will be at 1:00 p.m. Friday, March 2, 2018, at Gaydos Funeral Home, 159 Second Street in Vanceburg with Bro. Tony Corns officiating. Burial will follow in Lewis County Memory Gardens at Black Oak. Visitation will be 10:00 a.m. until time of services Friday at the funeral home. Pallbearers will be Trey Evans, Austin Evans, Dawson Smith, Jayven Hesler, Matt Evans, and Johnny Evans.